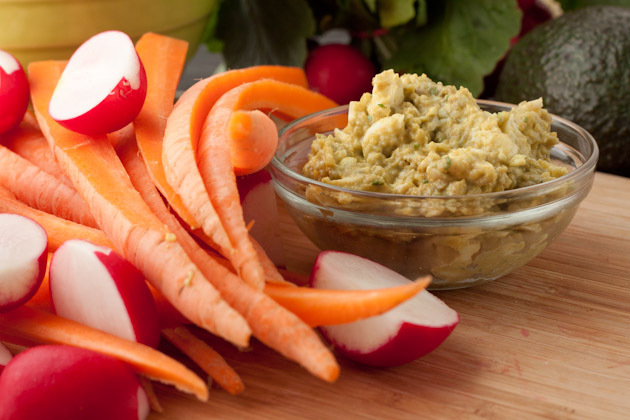 Dairy-free, keto dip with a natural kick. Completely paleo, low-carb and keto. Perfect for veggies, keto breads, meats, chips and beyond. I like to liberally smear my keto meals with various keto dips and spreads to liven things up a little. 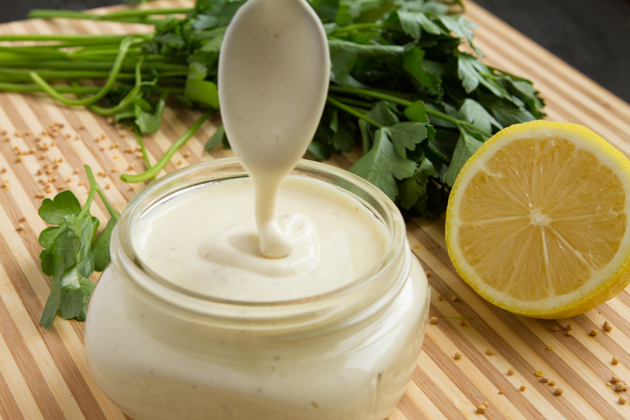 While I love plain ‘ol keto mayo, there’s only so much a girl can handle before she needs to spice it up. 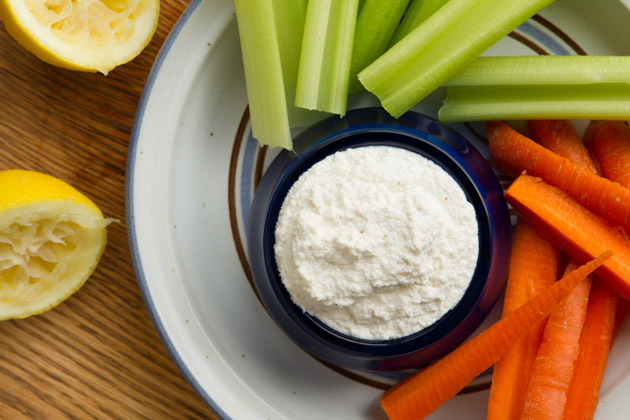 And this dairy-free, keto dip does it. 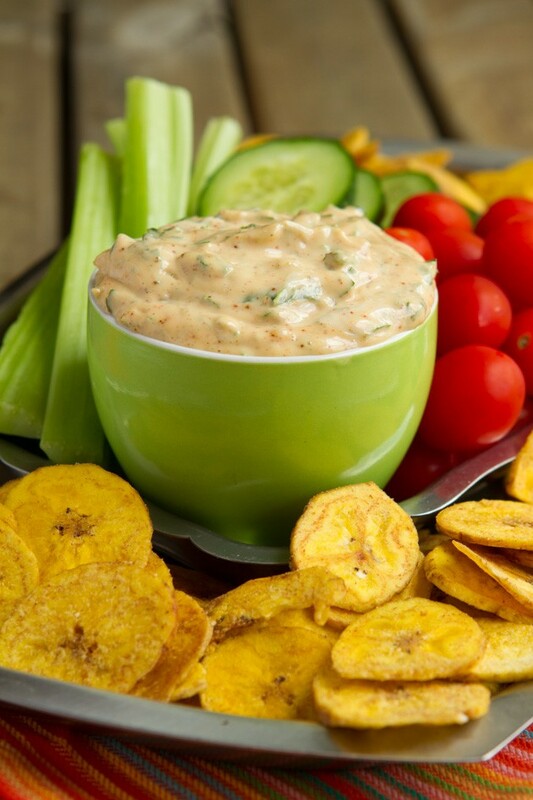 My mom’s been making this paleo-friendly, keto dip for a couple of years because she knows how much my little sister and I love our mayo spreads. Combined, we can polish off a jar of keto paleo mayo with the snap of a finger. It’s epic, really. I can’t remember the last time a man was made into a dip, but I’ll go with the flow and hope you think Sam Elliott is as dreamy as my Mom thinks he is. Just for the record? If it were up to me, I’d name it Channing Tatum dip. Now that’s a dip I could really get into. 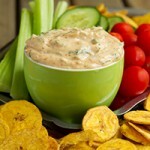 What I love about this keto dip is its versatility. It pairs fabulously with keto tacos, keto barbecued shrimp, keto shish kebabs, veggies, or green plantain chips, my personal favorite. We stock the house with these palm oil green plantain chips which, in Canada, you can buy at Dollarama for a dollar each. Practicing low-carb, keto? Me too! My recent video about adrenal dysfunction outlines the slight change I’ve made to my keto eating style to help heal my adrenals. Basically, I’m still eating from the meal plan in my book, The Keto Beginning), but I’m adding a touch of carbs; like these plantain chips, in the evening. 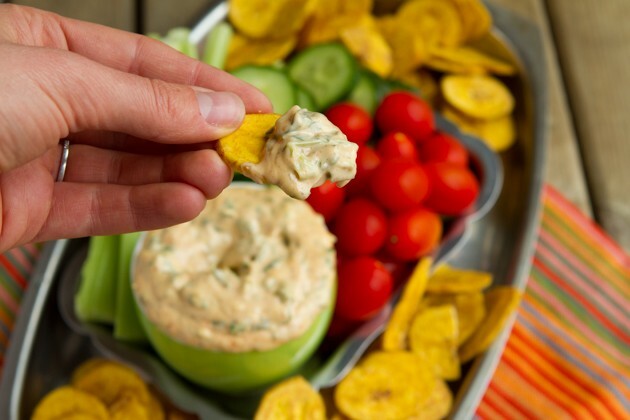 There are 5 EXTRA low-carb, keto dip recipes at the bottom of this post. Scroll past the recipe to dip in. Heh. 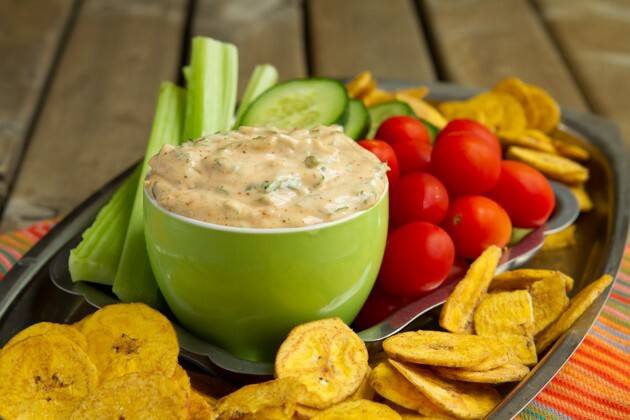 Mayo is used as a base for this keto dip. 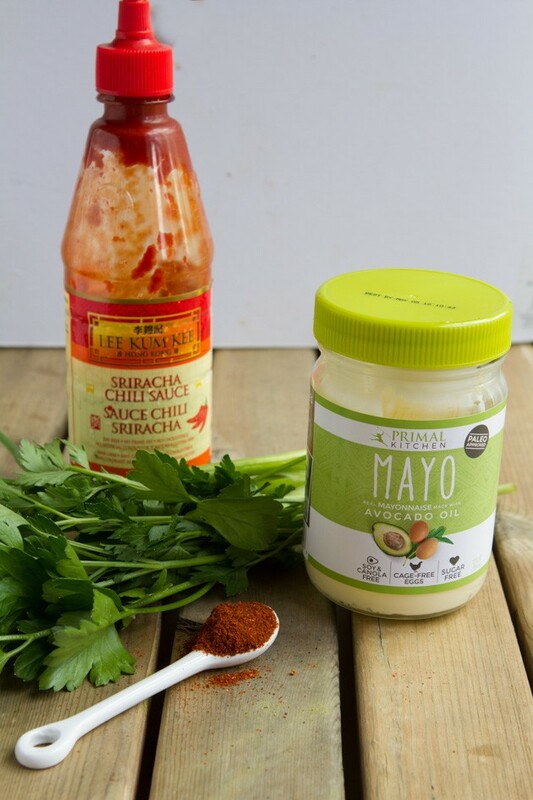 If you don’t or can’t use eggs, try making it with my vegan mayo. Easy! Wow, how many times did I write “dip” in this post? 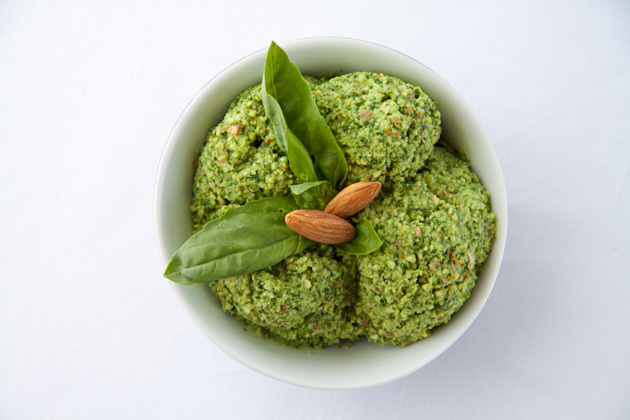 Dairy-free, keto dip with a natural kick. Completely paleo, low-carb and keto. 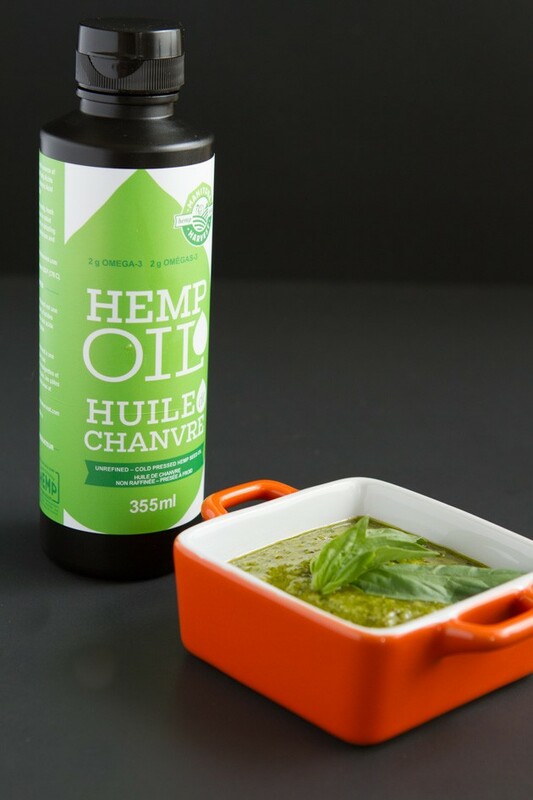 Perfect for veggies, breads, meats, chips and beyond. Throw it in the blender and you’re done. 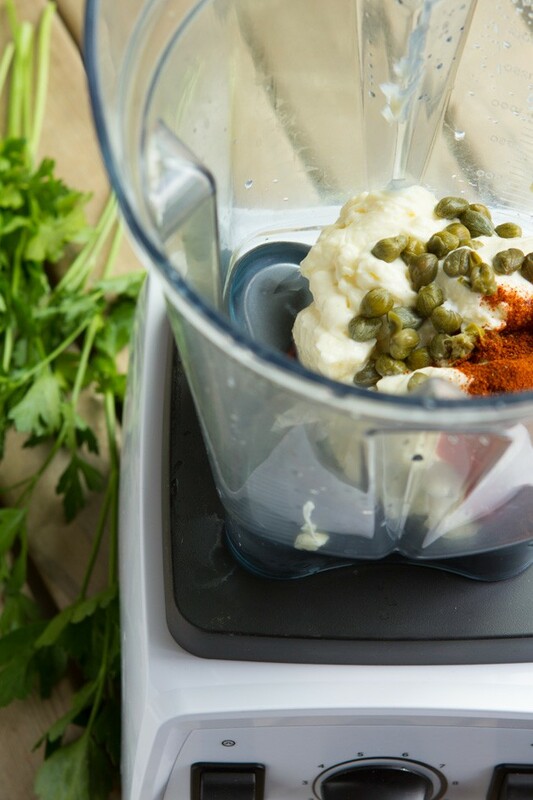 If you don’t have a blender, you could chop up everything really finely and mix it around in a bowl. I’ve done both ways and they’ve worked fabulously. 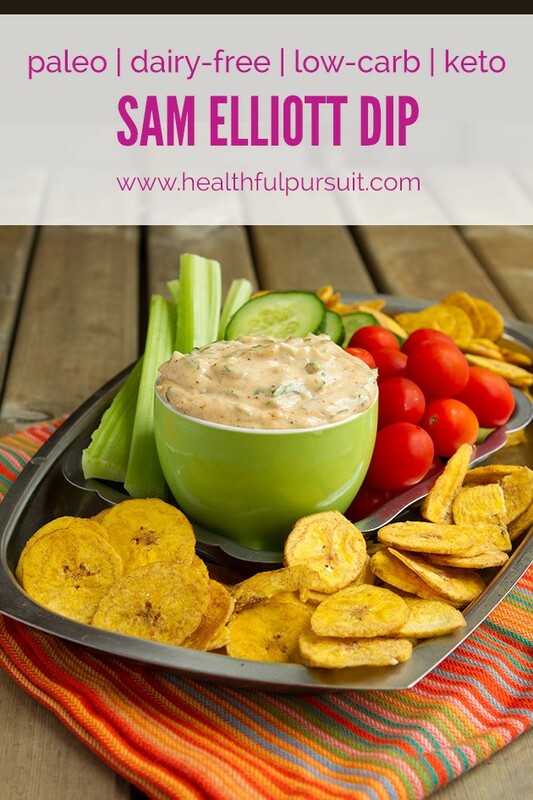 If Sam Elliott isn’t the man of your dreams, how would you name this keto dip?